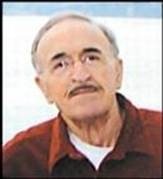 News has been received with the passing of retired NWA pilot Captain James Thomas Bickley, nearing his 78th birthday. Please follow us on our memorial site for possible further updates. Jim was born in Farmersville, Texas, on a very stormy Easter Sunday, the fourth son of Haywood Thomas Bickley and Datye Catherine Glass Bickley. He married Bonnie Jean Johnson in 1965 but later divorced. He and Bonnie had two children, Catherine (Katie) Irene Thompson (Don) and Warren Robert Bickley (Sarahi), both of Phoenix, Ariz. Jim later married Patty Dightman. In lieu of flowers, you may wish to make a donation to the hospice that contributed so much to Jim's care and comfort for seven months.